Meet the members of our 2018-2019 Youth Arts Council! This season’s Youth Arts Council (YAC) is comprised of 16 engaged and inspiring youth from grade 9 – 12 who are keen to encourage other youth to participate in the arts. Place des Arts created our Youth Arts Council to encourage local teens to engage with the arts community. This dedicated group of teen volunteers meet regularly to organize and host two youth-oriented events each year and advise Place des Arts on teen engagement. 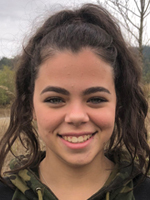 Jaimie is a grade 12 student at Port Moody Secondary and is back for her third year with the YAC. She joined the YAC because she has been part of the Place des Arts community since she was six and would like to give back for all the transformative experiences she has had throughout the years. Starting off as a visual artist and violinist, and now currently an avid dancer and photographer, Jaimie believes that the arts provide a meaningful outlet for amateur and experienced artists alike to manifest their inner beauty and experiment with it to their liking. Ananya (Aya) is a homeschooled grade 10 student. She joined the YAC to encourage young artists to pursue their dreams and to enjoy new experiences that will help her improve her leadership skills. 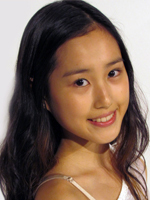 She enjoys music and has always dreamed of continuing to learn ballet. 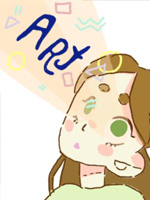 Aya hopes that by joining the YAC, she can encourage teens to look at art as a valuable and important skill to learn. Anella is a grade 10 student in the French Immersion program at Riverside Secondary. She joined the YAC to use her passion for art and share it with others. She wants to work with the other committee members to engage teens in any form of arts. Anella is a multi-disciplinary artist who studies and practices visual art, photography, dance and music. 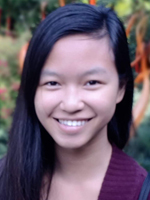 Innara is a grade 11 student enrolled in the IB Diploma program at Port Moody Secondary. She joined the YAC to help encourage the youth in her community to become more involved in the arts and to enhance her leadership skills. 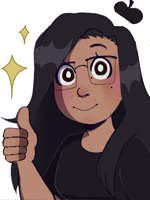 Innara is passionate about the visual arts, particularly drawing and painting, and has training in dance and piano. Grace is a grade 11 student at Burnaby Mountain Secondary. She loves literature and poetry. Grace joined YAC to utilize her creativity and give back to her community while growing her leadership skills. Most of her time is dedicated to volunteering, and when she’s not busy, she tries to spend as much time as she can with her friends and family. 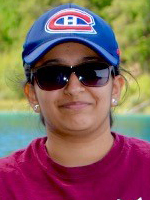 Himaja attends Port Moody Secondary in grade 12. She joined the YAC to share her passion and experiences and encourage youth to explore the world of art. 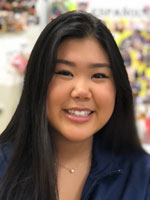 She looks forward to meeting new people of different backgrounds and cultures and feels being part of the YAC will be a great leadership opportunity and learning experience that will bring her closer to her community. Himaja practices a variety of art forms including music, visual art and the performing arts. Adrienne is a grade 12 student at Gleneagle Secondary. Adrienne loves to draw and develop characters and stories in her free time. 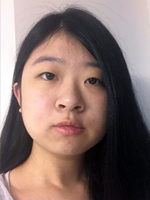 In the upcoming year, she hopes to be surrounded with others that share her interests in the YAC and be a part of a community that will explore the fantastical things art can represent. 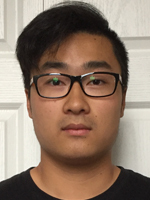 Andrew is a grade 12 student in the French Immersion program at Riverside Secondary. Andrew has been learning piano since the age of eight and is currently taking private lessons at Place des Arts with Isaac Juarez-Flores. 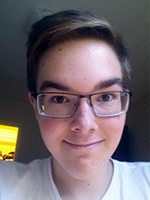 Andrew joined the YAC because he looks forward to interacting with like-minded peers within the arts community and to creating a positive environment where young people can learn and explore the arts through a meaningful and engaging approach. Brianna is a grade 12 French Immersion student at Dr. Charles Best Secondary. She plays piano and flute and is learning the violin and guitar. She also enjoys the literary arts, especially poetry and creative writing. After graduation, Brianna plans to study music therapy. Through Joining the YAC, Brianna hopes to make an impact in the community while further developing her leadership and teamwork skills. Eugene attends grade 11 at Port Moody Secondary. He joined the YAC because he has a strong passion for music and arts and has the desire to be more engaged in the local arts community by organizing artistic events for the youth. He hopes that through joining YAC he can strengthen his communication skills and confidence. 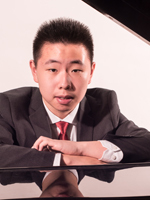 Eugene is skilled in playing guitar, saxophone and has obtained a performance diploma in piano. 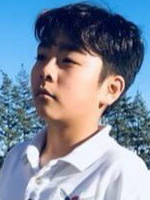 Joseph is a grade 9 student at John Knox Christian High School in New Westminster. Joseph’s artistic passion is music. He plays several musical instruments and has been exposed to music from a young age. Joseph believes that arts and culture are vital to society, and especially to youth. He joined the YAC to get involved in the community and to learn valuable skills. Maria is a grade 11 student at Burnaby Mountain Secondary. Maria has been dancing competitively since she was five. 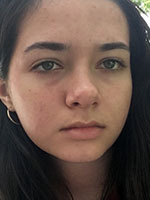 Dancing is Maria’s passion, and she hopes to positively contribute to the dance and arts community through the YAC. Maria hopes to strengthen and improve her leadership and communication skills as a member of the YAC. Ruby is a grade 11 student at Port Moody Secondary in the IB program. 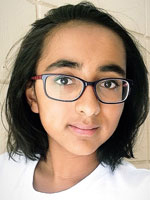 She joined the YAC to better connect with the local arts community and encourage other youth to pursue their artistic interests. Ruby sings with an instructor, which has made a big difference in her life. Ruby believes that the arts are an essential part of a well-rounded education and help people to develop the skills necessary to communicate with others and learn more about themselves. Vitaliy is in grade 11 at Centennial Secondary. Vitaliy was born in Ukraine and grew up in Israel for nine years. His family then moved to Canada, where they hopped around provinces for a while until they settled in Coquitlam. He enjoys fiction, pencil sketching, the guitar and classical music. He wants to contribute any way he can to the YAC, while adding style and humor to their events. Sisi is a grade 12 student at Heritage Woods Secondary. She joined the YAC to strengthen her communication and leadership skills, while working with people with similar interest in an artistic environment. Sisi is interested in both visual arts and music. She enjoys drawing and challenges herself to learn new techniques and improve her skills. Sisi believes that discovering the arts can help youth to gain emotional experience and creativity. 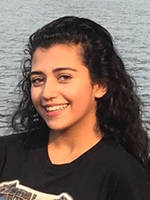 Zein is a grade 11 at Port Moody Secondary School, and she joined YAC because she believes that engaging in he arts is vital to people of all ages, especially teens. Zein has been involved with visual arts most of her life and volunteers as a greeter at her local art gallery. 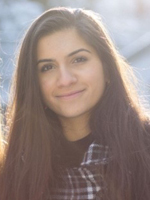 By participating in the YAC, Zein hopes to further engage within her community and improve her leadership skills. She also looks forward to gaining leadership experience and engaging with other arts-oriented people.